Technology is present in all sports, but it is more obvious in Paralympic sport because it is generally more visible in the form of wheelchairs, prostheses and other equipment. These technologies are essential for many people with disabilities in daily life, and are equally important to allow sporting participation and to facilitate elite performance. Technologies such as wheelchairs and prostheses have evolved significantly since the early Paralympic Games. Wheelchairs offer an excellent example to chart the types of technological changes that have occurred over time. 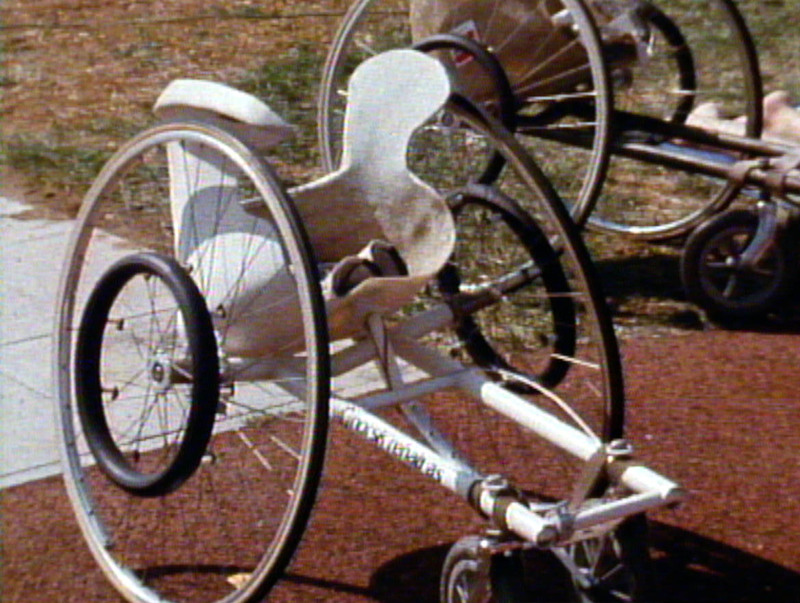 At the first Summer Games, held in Rome in 1960, all eight sports were wheelchair-based. Some of those chairs weighted almost 43 kilograms. At the Gold Coast 2018 Commonwealth Games, Australia’s Paralympian, Kurt Fearnley’s wheelchair in the 1500m and marathon events weighed closer to 6 kilograms. Chair weight alone is not the only development that has occurred. Wheelchairs have become custom-made for different sports: an extra wheel on chairs designed for wheelchair basketball and wheelchair tennis helps prevent backward flips; reinforced bumper guards assist in wheelchair rugby; and specially designed, light, aerodynamic racing chairs are used in track events. And it’s not just chairs. Developments in energy-storing prosthetic feet improve gait efficiency and speed. And at the Winter Games, visually impaired athletes in the biathlon use optronic rifles. Sporting technology has advanced with three key aims, as summarised by Professor David Howe of Loughborough University – to improve performances, to increase the comfort for athletes, and to help improve efficiency and movement. The International Paralympic Committee (IPC) is guided by four fundamental principles in overseeing the use of technologies by athletes: safety, fairness, universality and physical prowess. The principles of fairness and universality relate to issues of equity. Specifically, they relate to concerns that an athlete or group of athletes is not unfairly advantaged by access to expensive, cutting-edge technologies that are unavailable to others. Concerns around physical prowess centre on ensuring that technologies aid performance – are vital for performance – as opposed to being performance enhancing. Click the button on the bottom right of the screen if you are on a computer or just scroll down on a hand held device to see a timeline of relevant images, videos and testimonies. And then they’re off! In the 1972 wheelchair dash. "I'd take my everyday wheels off and put the racing wheels on"
Did spectators pay extra for a track-side view?